Are you planning a baby shower and wondering where you should host the party? 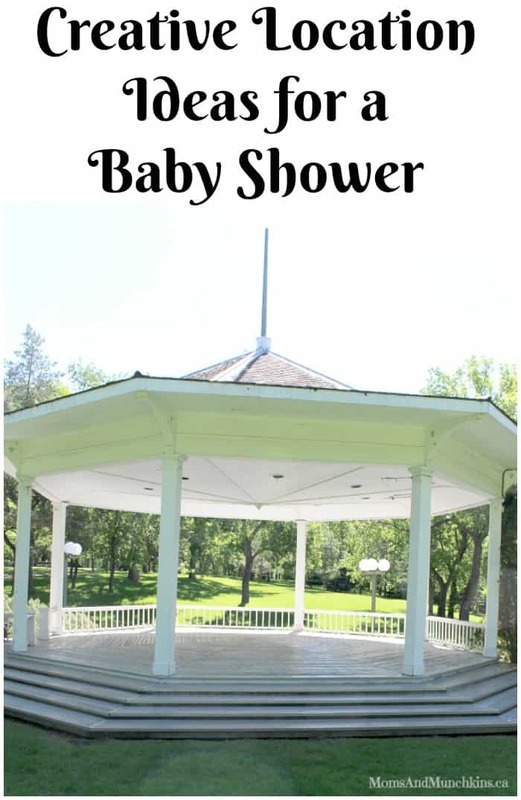 There are many locations that are perfect for a quiet baby shower event. Here are 20 baby shower location ideas along with themes that would be perfect in each location. 1) A tea party theme would be perfect in a greenhouse. 2) A private room in a library would be a great location for a nursery rhyme theme. 3) An under the sea theme could be held at an indoor or outdoor pool. 4) A private party room in a zoo would be an adventurous location for a safari theme. 5) A delicious location for a bun in the oven theme would be a bakery. 6) Any type of animal or dinosaur theme would work well in a museum. 7) Every mommy-to-be enjoys some time to relax. The ultimate location for a relaxation theme would be a spa. 8) A sports theme is perfect for a co-ed shower. This could be held inside any sporting arena or field. 9) If you don’t want to go far from home, a ladybug theme would be perfect in your own backyard. 10) A simple picnic in a park is perfect for a teddy bear theme. 11) Many restaurants provide private dining options. This would be a great location idea for a cravings theme. 12) A school gymnasium would be a fun location idea for an arts & crafts theme. 13) A coffee house is a great location idea for a cookies and tea theme. 14) An ice cream shop would be a delicious baby shower location idea for an ice cream & pickles theme. 15) An aquarium would be a unique location idea for a mermaid theme. 16) Any baby animal theme would be perfect in a petting zoo location. 17) If you have a theme park in your area, this would be a great location idea for a circus theme. 18) A local campground would be a fun location idea for any type of wilderness theme. 19) A race track (even a go kart track) would be a unique location idea for a car or transportation theme. 20) A movie theatre or live theatre would be the perfect location for a premiere debut theme. Of course your home is one of the easiest baby shower location ideas for absolutely any theme! For the last baby shower you attended, where was it held? For more baby shower ideas like planning tips, free printable games, other themes to fit these baby shower location ideas and more – visit our Baby Showers page. We’re always adding new party ideas including recipes, games & more! Stay updated on the latest by following us on Facebook, Twitter, Pinterest and Instagram. The easiest baby shower to throw is at someone’s house that’s big enough. No rental fees, A/C, and a willing host are great combos. However, when you have none of those, the trickiest part is trying to find something that’s affordable! Locations like rental centers, tea rooms, and private rooms at restaurants are always pricey! Yes, prices can increase quickly when a location rental is involved. In my city, community centres are usually really reasonably priced and have plenty of space.